we've booked all our adr's but now my husband is saying he wouldn't mind a Buffett! we'd only do dinner and only meat we eat is ĺchicken and fish. great dessert a plus! suggestions? We always eat at Tusker House at the Animal Kingdom. Always. Love the buffet there. And the full bar. It's just off of the hub. To get there, you'd enter MK, walk down Main Street USA toward the castle, and then veer left (just after Casey's Corner, on the... well, corner) as if you were going to enter Adventureland. Crystal Palace is there on the left. You can't miss it. Ohana - Limited selection but what they have is good. Crystal Palace - Always disappointing. Always. Characters are okay, but it is such a large place that they often don't make it around to everyone. Food is mediocre at best. I consider it quite sub-par. I've never had ANYTHING there that I really liked, or could remember for 5 minutes, except for the pain in my gut from trying out so many foods in the hopes of finding ONE good one. Trails End at The Cabins at Fort Wilderness is really good. They have fried chicken and usually some type of baked fish. Their strawberry shortcake is the best I have ever had. We go there at least once every trip. Make sure you do dinner though. They usually don't have the shortcake at brunch. I had dinner at the Halloween seasonal dine at Hollywood and Vine in 2016 and the food was actually very good with some great character experiences. None of it was BBQ type food. The only thing on the buffet I didn't like were the black noodles because they were too chewy for me. We really enjoyed the dinner. 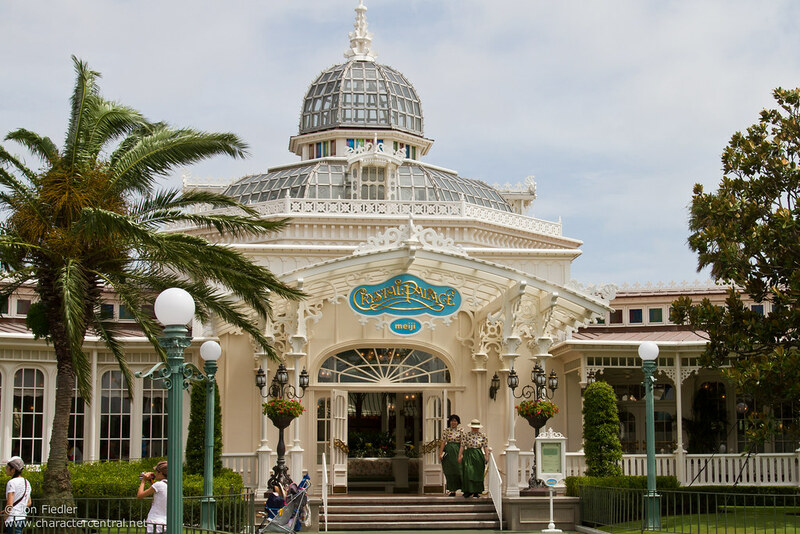 And we've had breakfast at Crystal Palace twice and both times were great although the characters were slow in coming to our table. Sorry you had bad experiences. Oh of course, this, I can't believe I didn't realize it. Thank you. Not necessarily, depends on the location and the plans for the day. If you're at MK, 1900 PF is a short boat ride away followed by a boat or monorail back. Easy to get to Chef Mickeys though I wouldn't recommend it for food. Cape May is a 5-10 minute walk from Intl Gateway if it's an Epcot day. Another vote for Cape May Cafe. Consistent quality, great variety and the chocolate flourless mini cakes are delicious! Sadly the dining plan has downgraded a lot of the buffets where they now rely on frozen or pre-made food. Boma, on the other hand, is one of the few that offers unique, made-fresh-daily dishes. Just outstanding. Whatever you do, avoid Chef Mickey's dinner. It's the worst food I've had at a restaurant, at Disney or elsewhere. If you decide to do a buffet, Boma and Cape May are our favorites. Here is an option for you since the buffets may not be the most cost effective route for dinner. Go to Sanaa at Animal Kingdom Lodge. The Naan bread service is a must do! Grab a couple of entrees to share, and you will have a great dinner at a lower price point than springing for the buffets. Sanaa is easily one of our favorite places on property. Again, get the bread service! You cannot go wrong with that!